IV Inline Filter Sets have high requirements for protective vents. Apart from filtrating almost all the dust, bacteria and virus, it is also necessary to keep water and almost all the liquids outside. Meanwhile, it is required that the protective vents can keep excellent air permeability after the products have contacted water and liquids. 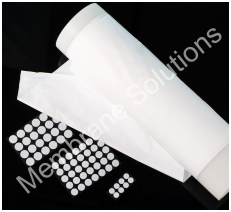 Membrane Solutions’ vents specially designed for medical application can meet the strict requirements. Wear gloves when handling the vents. Mounting surfaces should be clean and free of oils, particles, and other contaminants. Follow dispenser instructions when using an automated vent dispenser.